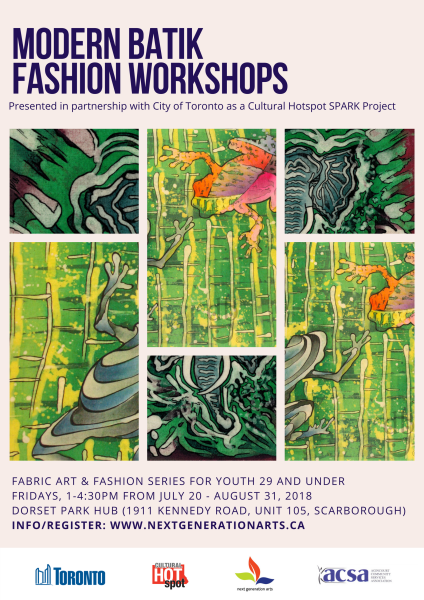 Presented in partnership with the City of Toronto - Cultural Hotspot SPARK Project and Agincourt Community Services Association - Dorset Park Hub, this workshop series explores the ancient African art of Batik, waxes, dyes and inks and applies it to fashionable fabric pieces which participants are free to alter. At the end of the workshop series, participants will show off their creations in a fashion show event. The Modern Batik Fashion Workshops are FREE for all youth (individuals to the age of 29) but spaces are limited. The workshop begins July 20. To register, complete the registration and consent form and submit to jen@nextgenerationarts.ca. Presented in partnership with Agincourt Community Services Association, Stories for the Next Generation is a free intergenerational storytelling workshop series for seniors 55 and older to share with the younger generations in their families and communities. Over the course of the series, senior participants will work with a professional storyteller to create enticing creative writing pieces. Participants will then work with an illustrator to create artistic capsules to visually illustrate their stories while other stories are recorded with their children, grandchildren and youth community members to create a multi-generational collection of audio stories. Within the last few decades , Toronto has witnessed the successes of organizations and individuals starting their claim to fame in our city. Some have focused on the cultural wealth and identity that stems from the music that had been created here. From Much Music and the Opera House to Drake and Kiezsa, we have witnessed how Toronto-focused music provides us with a unifying identity, a sense of pride in our own and a celebration in our music economy. Toronto is recognized as a prominent leader in the international music scene and now is our time to celebrate it! 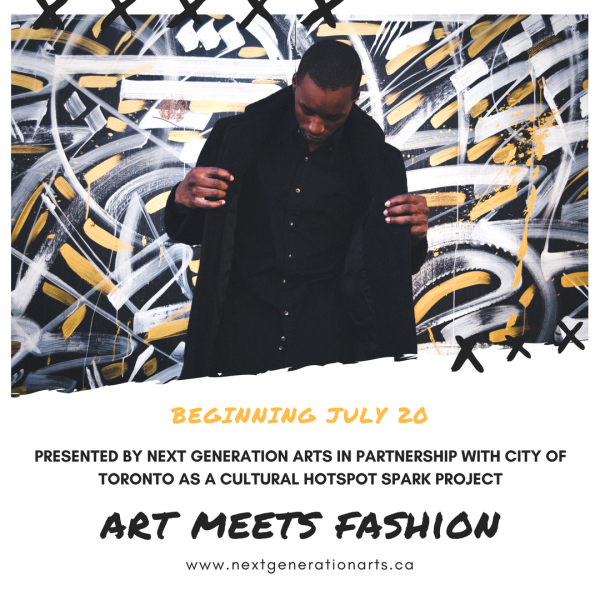 Presented by Next Generation Arts in partnership with Myseum of Toronto, Phase One Studios and G5 Canadian Urban, Music City featured Toronto's rising stars, movers and shakers and legends for a panel discussion, concert and networking event. Special guests included Global News' Marianne Dimain, multiplatinum Grammy-Nominated producer Megaman, Canadian beatbox competitor KRNFX, veteran Hip-Hop emcee Dan-e-o and much more. Above is the audio recording from our conference.